And 2017 is likely to be as busy, with more and more automation, more and more fight for attention, and a real need to keep focusing on metrics that matter. Let’s dig into what’s going to happen next. 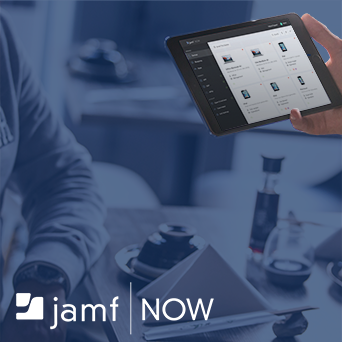 Jamf Now helps you secure, manage and protect the iPad, iPhone, and Mac devices at work. We make management tasks simple and affordable, no IT expertise needed. Deploy Wi-Fi passwords, secure company data, enforce passcodes, and more. Learn more and enroll your first three devices free. Gianluca Fiorelli predicts trends for 2017 based on evidence of what we’ve seen come to pass. Control is a key lever for companies that rely on content marketing to acquire and retain customers. SlideShares are a great way to consume content. Here’re 10 of the best social media SlideShares of 2016 to enhance your social media marketing in 2017. The concept of the search box is likely to disappear in the next 5 years. Build a change-proof content strategy via a renewed focus on your reach and influence. BBL Ventures has opened the first Reverse Robotics Pitch for ExxonMobil. 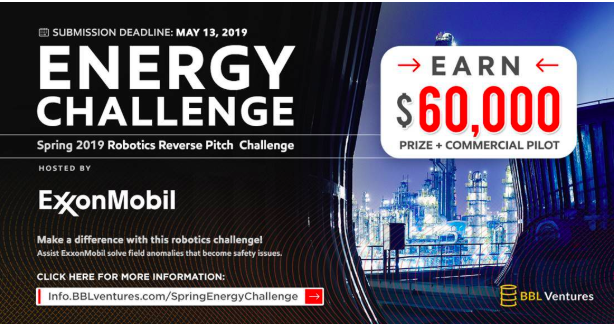 Interested applicants are invited to enter the challenge by May 13th for the chance at an invitation to Houston to participate in the reverse pitch the week of June 3rd. The prize for the winning challengers is $60,000. Frank Pollock - Marketer. Innovator. Strategist. Did you enjoy this issue? Did you read something you think we should include in our newsletter? Copyright © 2019 Techstars, All rights reserved. You are receiving this email because you opted-in on one of our websites. If you were forwarded this newsletter and you like it, you can subscribe here. If you don’t want these updates anymore, please unsubscribe here.